The British Museum is dedicated to Human history, art and culture, and is located in the Bloomsbury area of London. Its permanent collection, numbering some 8 million works, is among the largest and most comprehensive in existence and originates from all continents, illustrating and documenting the story of human culture from its beginnings to the present. The British Museum was established in 1753, largely based on the collections of the physician and scientist Sir Hans Sloane. The museum first opened to the public on 15 January 1759, in Montagu House, on the site of the current building. 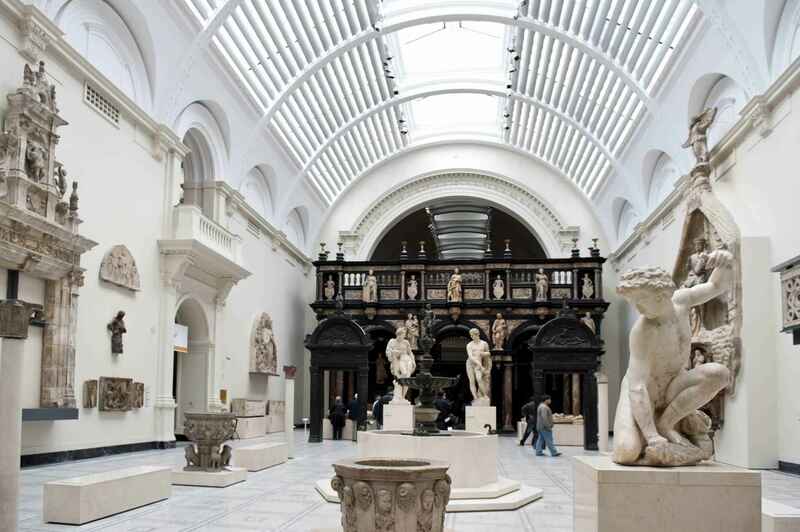 Its expansion over the following two and a half centuries was largely a result of an expanding British colonial footprint and has resulted in the creation of several branch institutions, the first being the British Museum in South Kensington in 1881. Some objects in the collection, most notably the Elgin Marbles from the Parthenon, are the objects of controversy and of calls for restitution to their countries of origin. The British Museum houses the world's largest and most comprehensive collection of Egyptian antiquities (with over 100,000 pieces) outside the Egyptian Museum in Cairo. A collection of immense importance for its range and quality, it includes objects of all periods from virtually every site of importance in Egypt and the Sudan. Together, they illustrate every aspect of the cultures of the Nile Valley (including Nubia), from the Predynastic Neolithic period (c. 10,000 BC) through to the Coptic (Christian) times (12th century AD), a time-span over 11,000 years. The British Museum has one of the world's largest and most comprehensive collections of antiquities from the Classical world, with over 100,000 objects. These mostly range in date from the beginning of the Greek Bronze Age (about 3200 BC) to the establishment of Christianity as the official religion of the Roman Empire, with the Edict of Milan under the reign of the Roman Emperor Constantine I in 313 AD. Archaeology was in its infancy during the nineteenth century and many pioneering individuals began excavating sites across the Classical world, chief among them for the museum were Charles Newton, John Turtle Wood, Robert Murdoch Smith and Charles Fellows. The Greek objects originate from across the Ancient Greek world, from the mainland of Greece and the Aegean Islands, to neighbouring lands in Asia Minor and Egypt in the eastern Mediterranean and as far as the western lands of Magna Graecia that include Sicily and southern Italy. The Cycladic, Minoan and Mycenaean cultures are represented, and the Greek collection includes important sculpture from the Parthenon in Athens, as well as elements of two of the Seven Wonders of the Ancient World, the Mausoleum at Halicarnassus and the Temple of Artemis at Ephesos. With a collection numbering some 330,000 works, the British Museum possesses the world's largest and most important collection of Mesopotamian antiquities outside Iraq. The collections represent the civilisations of the ancient Near East and its adjacent areas. These cover Mesopotamia, Persia, the Arabian Peninsula, Anatolia, the Caucasus, parts of Central Asia, Syria, the Holy Land and Phoenician settlements in the western Mediterranean from the prehistoric period and include objects from the beginning of Islam in the 7th century. A collection of immense importance, the holdings of Assyrian sculpture, Babylonian and Sumerian antiquities are among the most comprehensive in the world with entire suites of rooms panelled in alabaster Assyrian palace reliefs from Nimrud, Nineveh and Khorsabad. Only the Middle East collections of the Louvre and the Pergamon Museum rival it in the range and quality of artefacts. The Department of Prints and Drawings holds the national collection of Western prints and drawings. It ranks as one of the largest and best print room collections in existence alongside the Albertina in Vienna, the Paris collections and the Hermitage. The holdings are easily accessible to the general public in the Study Room, unlike many such collections. The department also has its own exhibition gallery in Room 90, where the displays and exhibitions change several times a year. Since its foundation in 1808, the prints and drawings collection has grown to international renown as one of the richest and most representative collections in the world. There are approximately 50,000 drawings and over two million prints. The collection of drawings covers the period from the 14th century to the present, and includes many works of the highest quality by the leading artists of the European schools. The collection of prints covers the tradition of fine printmaking from its beginnings in the 15th century up to the present, with near complete holdings of most of the great names before the 19th century. Key benefactors to the department have been Clayton Mordaunt Cracherode, Richard Payne Knight, John Malcolm, Campbell Dodgson, César Mange de Hauke and Tomás Harris. There are groups of drawings by Leonardo da Vinci, Raphael, Michelangelo, (including his only surviving full-scale cartoon), Dürer (a collection of 138 drawings is one of the finest in existence), Peter Paul Rubens, Rembrandt, Claude and Watteau, and largely complete collections of the works of all the great printmakers including Dürer (99 engravings, 6 etchings and most of his 346 woodcuts), Rembrandt and Goya. More than 30,000 British drawings and watercolours include important examples of work by Hogarth, Sandby, Turner, Girtin, Constable, Cotman, Cox, Gillray, Rowlandson and Cruikshank, as well as all the great Victorians. There are about a million British prints including more than 20,000 satires and outstanding collections of works by William Blake and Thomas Bewick.. The great eleven volume Catalogue of Political and Personal Satires Preserved in the Department of Prints and Drawings in the British Museum compiled between 1870 and 1954 is the definitive reference work for the study of British Satirical prints. Over 500,000 objects from the department are now on the online collection database, many with high quality images. A 2011 donation of £1 million enabled the museum to acquire a complete set of Pablo Picasso's Vollard Suite. The Department of Prehistory and Europe was established in 1969 and is responsible for collections that cover a vast expanse of time and geography. It includes some of the earliest objects made by humans in east Africa over 2 million years ago, as well as Prehistoric and neolithic objects from other parts of the world; and the art and archaeology of Europe from the earliest times to the present day. Archeological excavation of prehistoric material took off and expanded considerably in the twentieth century and the department now has literally millions of objects from the Paleolithic and Mesolithic periods throughout the world, as well as from the Neolithic, Bronze Age and Iron age in Europe. Stone Age material from Africa has been donated by famous archaeologists such as Louis and Mary Leakey, and Gertrude Caton–Thompson. Paleolithic objects from the Sturge, Christy and Lartet collections include some of the earliest works of art from Europe. Many Bronze Age objects from across Europe were added during the nineteenth century, often from large collections built up by excavators and scholars such as Greenwell in Britain, Tobin and Cooke in Ireland, Lukis and de la Grancière in Brittany, Worsaae in Denmark, Siret at El Argar in Spain, and Klemm and Edelmann in Germany. A representative selection of Iron Age artefacts from Hallstatt were acquired as a result of the Evans/Lubbock excavations and from Giubiasco in Ticino through the Swiss National Museum. 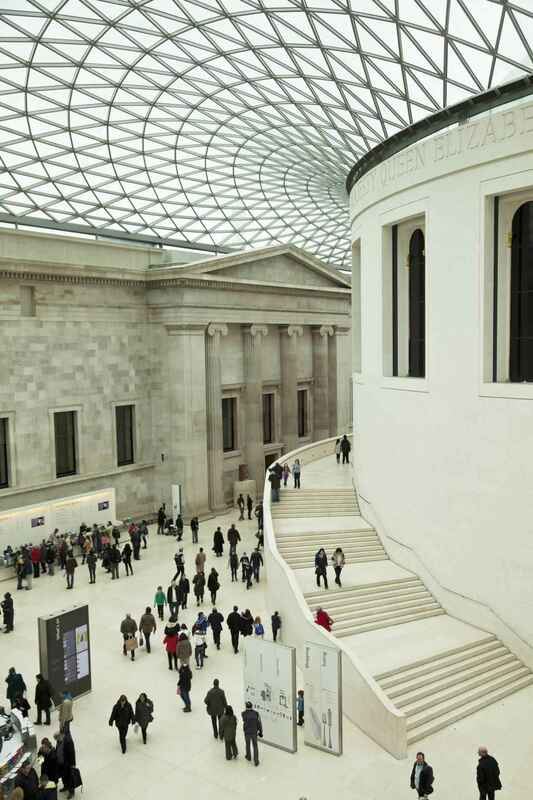 British Museum | eTips Inc.